Welcome to the Mt. Carmel Band, Orchestra and Color Guard program! This nationally recognized program has demonstrated consistent musical excellence throughout its 35+ year history. Mt. 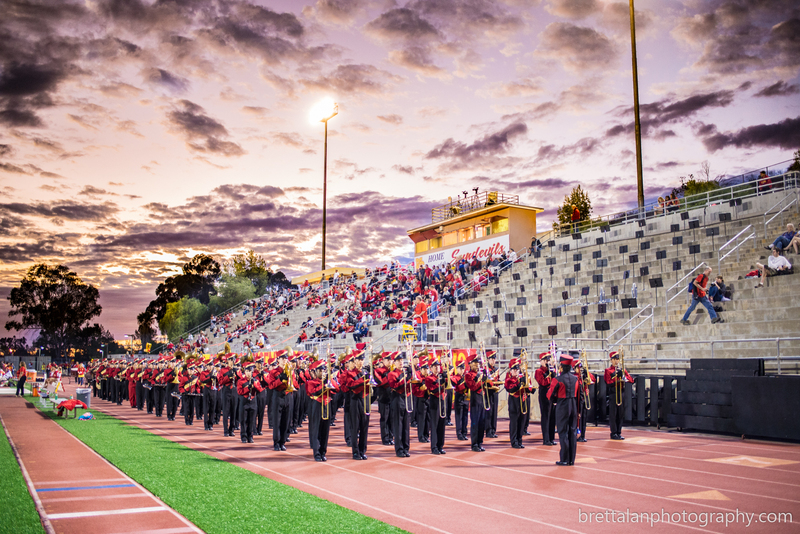 Carmel Instrumental Music Department is considered one of the top programs in all of Southern California. Many of the top academic students at Mt. Carmel participate in our music program and consider it a highlight of their high school experience. These are the nicest and best students at Mt. Carmel and the type of students you will want your student to be around and make friends with. Looking ahead: Why should my child sign up and stay in Band or Color Guard all four high school years? College admission boards have told us time and time again, that students who stay in their high school music program in classes like Mt. Carmel’s Band/Color Guard all four years, have a great advantage for college admission over the typical students who have the same GPA (grade point average). In addition, the statement above is true for music students when compared with those who have taken the same number of AP (advanced placement) classes without being in a four year program like Band. College admissions are actively looking for students who can show a four year commitment to a high school program. College admission boards know the chances of students participating in college campus life, activities and finishing college is much higher in music students than typical students who only take AP classes in high school and never show involvement in anything extra that high school has to offer. The Mt. Carmel Music Department encourages it’s students to take AP classes and most students also take a few “on-line” courses throughout their tenure at Mt. Carmel so they can stay in music all four years. It is important to understand that your student does not have to sacrifice taking band/guard all four years at Mt. Carmel for taking an “all AP” class schedule if they are planning to go to a top tier college. College admission boards weigh heavily staying in a music program of our caliber and band/guard will help in the college board’s decision process. More of our music students are admitted to their first or second choice of college when compared to the average MC student who does not participate in a four year program such as instrumental music. – Dr. Denise C. Gardner, Effect of Music Courses On Retention, Georgia Tech, 2000. 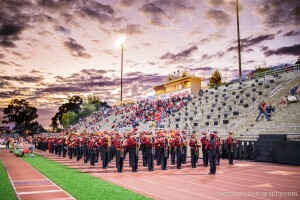 Mt Carmel Marching Sundevils Inspirational Film from Brett Alan Films on Vimeo.